Water is the elementary raw material in the food and beverage industry. In the ongoing production, a non-varying and reliable water quality is of utmost importance and therefore malfunctions in the production process, variations in the product quality or unnecessary pollution of the environment may result if no adequate water treatment is provided. 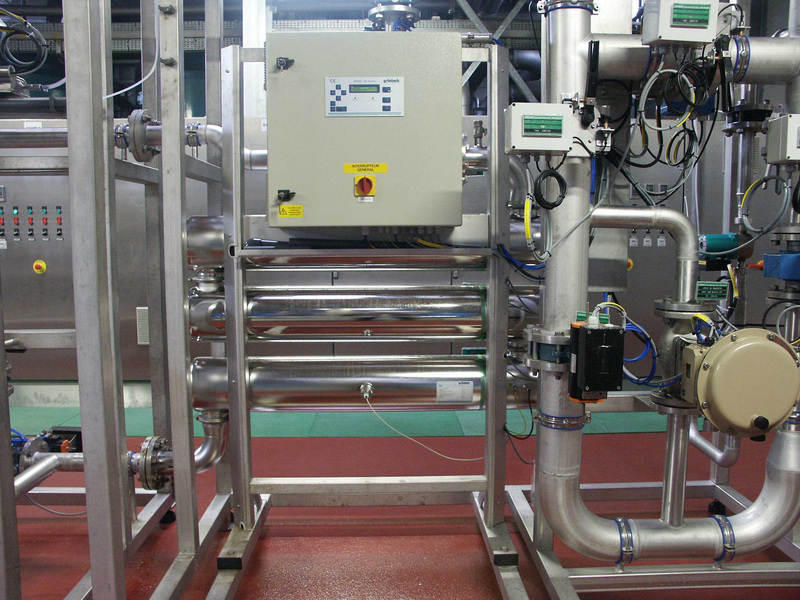 UV-units are installed as an end of the line treatment, as the last step in a complex water treatment system. 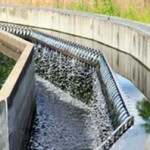 Waste water is generated in all kinds of industries. Process water is industrial (waste) water which is used for production and which is contaminated by various toxic substances of different qualities and quantities – depending on the industry and application. Due to the increasing importance of resource-friendly production processes, legal restraints and rising water prices, water mainly is carried in circulation systems nowadays and a major part of the polluted water is treated in a way that it can be reused in the production process. In most businesses, the multiple use of the production water can be realized without any negative impact on the products. However, this can only be achieved by the implementation of processes and system technologies such as are offered by Aqua System. UV-light is an effective method for killing pathogens that can endanger fish or shellfish. There are many areas within an aquaculture facility and re-circulating system that can act as reservoirs for pathogens. 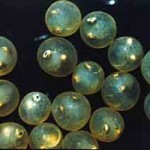 The most important reservoirs are the fish or shellfish themselves. The “animals” can act as asymptomatic carriers of disease. In other words, they may be immune to a specific pathogen but still be able to shed the organism into the water or transfer it to other fish by contact. Installing a UV-disinfection system will increase survival rates by protecting the farm from diseases which again will reduce medication, chemicals and antibiotic usage. 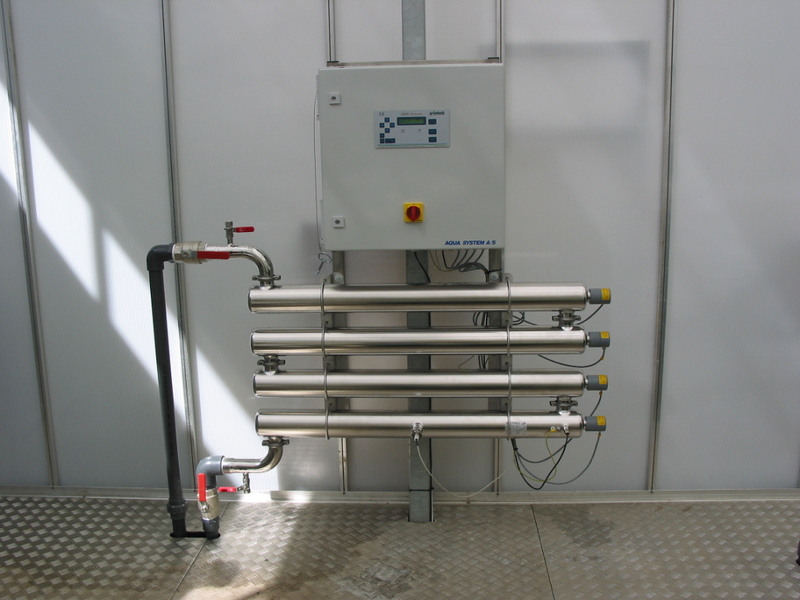 Aqua System A/S has supplied several UV-disinfection systems for both fresh- and saltwater fish farming facilities (salmon, trout, eel, mussels, shrimp etc.). Water means life; healthy water means your crops will grow. Aqua System UV L-units are specially designed to provide effective and efficient disinfection of horticultural irrigation water. Ultra-Violet radiation (UV) is a proven process for disinfecting irrigation water that are microbiologically contaminated. Installing a UV-disinfection system will assure clean water free of any harmful fungi, bacteria or viruses and enables expensive water and fertilizers to be re-cycled. 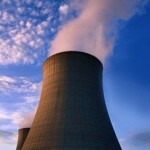 Cooling cycles are required in the industry and trade as well as in building services engineering. The cooling water used in those areas requires an appropriate treatment. This applies to flow-through systems as well as to open or closed cooling cycles. 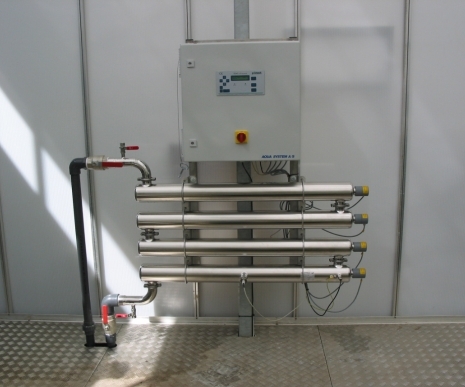 The cooling water treatment protects the systems against deposits (scaling), corrosion and microbiological growth. The control of the cooling cycles via an automatic salt reduction reduces the make-up volume to a minimum and also lowers the cooling water consumption. Together with our German partner and shareholder, Grünbeck Wasseraufbereitung GmbH, we will be delighted to offer you the right solution. 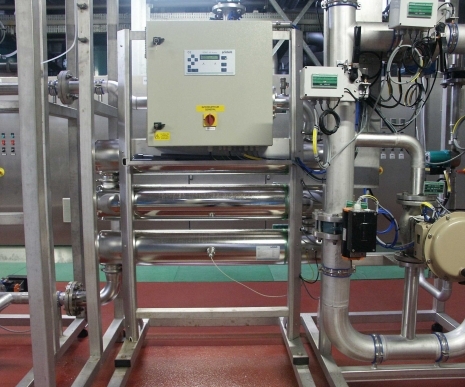 Installation of AQUA-UV M3/200 S for disinfection of process water at Kronenburg Breweri. 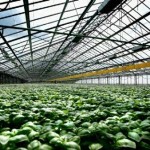 Installation of AQUA-UV L M4/200 S for disinfection of horticultural irrigation water in a Danish greenhouse.